7 Days of ProCapture at a great price. Do you need to capture video for a special project? 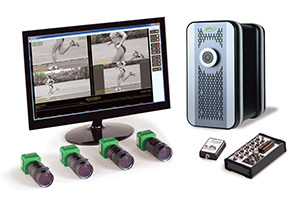 Thinking about buying a ProCapture system, but want to take it for a test drive? For a limited time, you can rent a 2- or 4-camera system for only 10% of the regular purchase price. Try our long-recording motion capture system featuring our high-speed, high-resolution XC-2 cameras -- up to 1000 fps with resolutions up to 1920 x 1080. Offer expires on July 31, 2015. For more information or to order, email info@xcitex.com or call 617-225-0080.